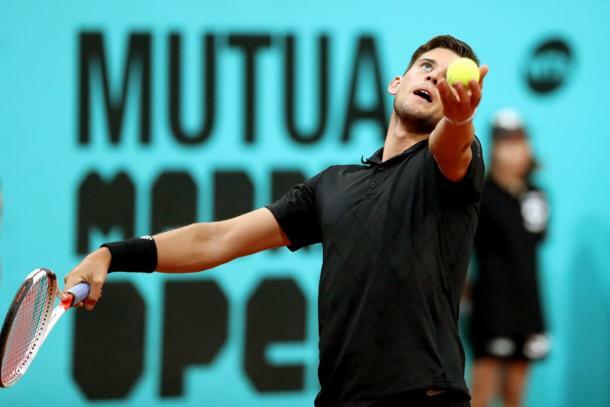 Dominic Thiem was made to work for his three-set victory against Federico Delbonis of Argentina to book his place in round three at the Mutua Madrid Open. 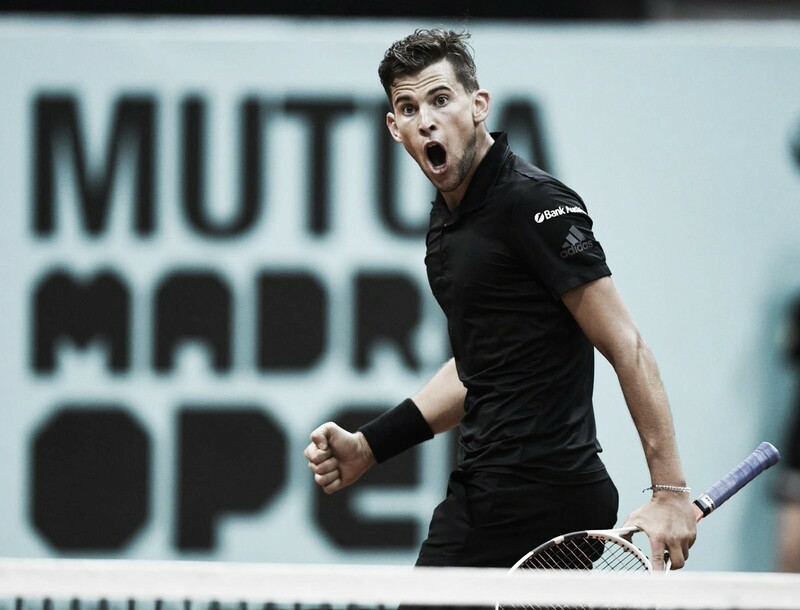 Austrian Dominic Thiem needed three sets and two hours and 22 minutes to get past a stubborn Federico Delbonis 4-6, 6-3, 7-5 in a tight late night match on Court Arantxa Sanchez at the Mutua Madrid Open. The fifth seed will now face Borna Coric and will need to get past the inform Croatian who has yet to drop a set this week including seeing off the ninth seed Pablo Carreno Busta in his opening match. The Argentine began the match with two early breakpoints at 15-40 following a long rally, finished off with Thiem sending a backhand wide. The Austrian had to dig in to save both breakpoints before going on to hold serve for 1-0. But Thiem knew that it wasn't going to be an easy ride. Delbonis held his opening service game much comfortably to 15 for 1-1. Thiem's second service game went much smoother, holding to gain a 2-1 lead. The Argentine sent a forehand long of the baseline and the fifth seed had his first breakpoint chance of the game. But a solid unreturnable serve out wide did the job for Delbonis who saved the breakpoint then held to stay with Thiem at 2-2. The 27-year-old then grabbed his third break point of the set, however, he couldn't convert and Thiem once again held a tight game to stay ahead at 3-2. The next three games went on serve with both players enduring in long rallies and hitting powerful shots with the score at 4-4. Having failed to break down Thiem thus far, Delbonis continued to put the 24-year-old under pressure and forced the error to earn two more breakpoint chances. This time, he finally broke Thiem to serve for the set at 4-5. Delbonis saved a breakpoint and missed two setpoints before ending a 50-minute set with a clutch second serve. 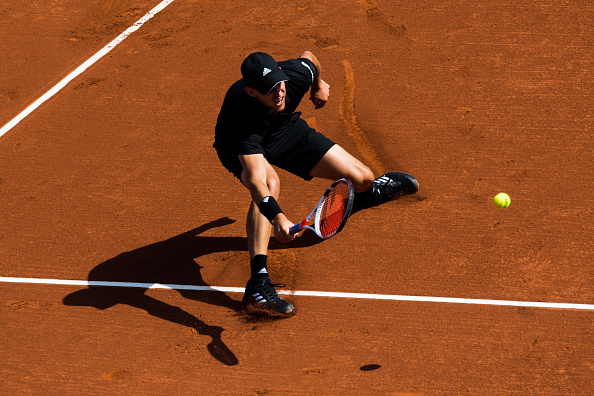 Thiem began his comeback with a hold of serve to love for 1-0. He then sent his Argentine opponent to deuce, getting no answer as he held for 1-1. Thiem also held his second service game to go ahead 2-1. The 24-year-old raised his levels in the fourth game and ran away to a love-40 lead, grabbing three crucial breakpoints. Delbonis attempted to stop Thiem's fightback but could only manage to save two of three break points as he lost the game and fell 3-1 behind in the second. Thiem's impressive second set continued, holding to love to consolidate the break and gain a some-what comfortable 4-1 lead. The world number 78 endured for the first time this set an easy service game, holding to 15 for 4-2. 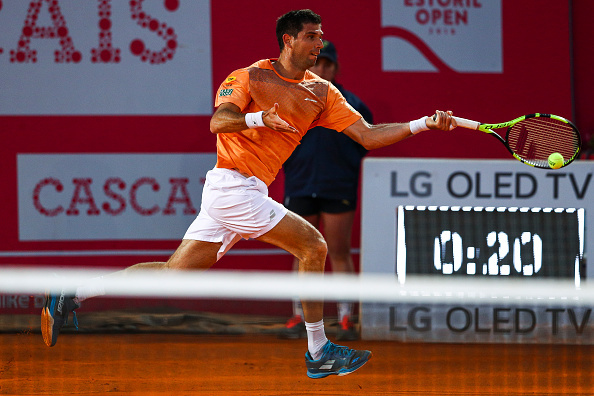 He then attempted to break back by sending his opponent to deuce twice but the world number seven didn't allow Delbonis a route back and held to go within a game of the set at 5-2. Delbonis held serve to force Thiem to serve to level the match. Just like for much of this second set, Thiem looked solid on serve and ran away to a love-40 lead, smashing down an ace to bring up three set points. He only needed the one opportunity to seal the set, 6-4. Just like in previous sets, both players started the set by holding their opening service game, 1-1. Thiem and Delbonis continued to look strong on serve at the beginning of this third set, holding their next two service games for 3-3. But it would be the Austrian to strike first in this tight, crucial set. Locked at 30-all in the seventh game, Delbonis got tight and threw in an unforced error to gift the break, 30-40. Standing near the back of the court, Thiem mustered up every bit of power to strike a deadly forehand to which Delbonis put wide to fall behind 4-3. The world number seven served his way to a 5-3 lead in the final set. Delbonis needed an easy hold to stay alive in this set and that he got, holding to 15. With the 24-year-old serving for the match, he got tight and allowed his Argentine opponent a glimmer of hope, who earned a breakpoint at 30-40 following a silly forehand mistake. Thiem then crumbled under the pressure and served up a double-fault to allow Delbonis back into the set at 5-5. But Thiem showed fighting spirit and despite missing three breakpoints in this eleventh game, he would bring up a fourth. This proving to be a crucial fourth as he broke after wearing down Delbonis to finish the point with a forehand winner. Thiem sealed the match a game later on his second setpoint to advance.